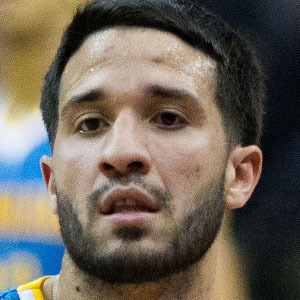 NBA point guard who began his career with the Memphis Grizzlies in 2010. He spent two years with the New Orleans Hornets then half a season with the Sacramento Kings before a 2013 trade sent him to the Toronto Raptors. He was then traded to the Milwaukee Bucks in 2015. He compiled an extremely impressive career during his four years at Maryland. He became the first player in ACC history to compile at least 2,000 points, 700 assists and 600 rebounds. He grew up in Caracas, Venezuela with his parents, Ivis Rodriguez and Gregorio Vásquez, and brother, Ingerman Sanoya. He played alongside center Anthony Davis on the Hornets during the 2012-13 season.